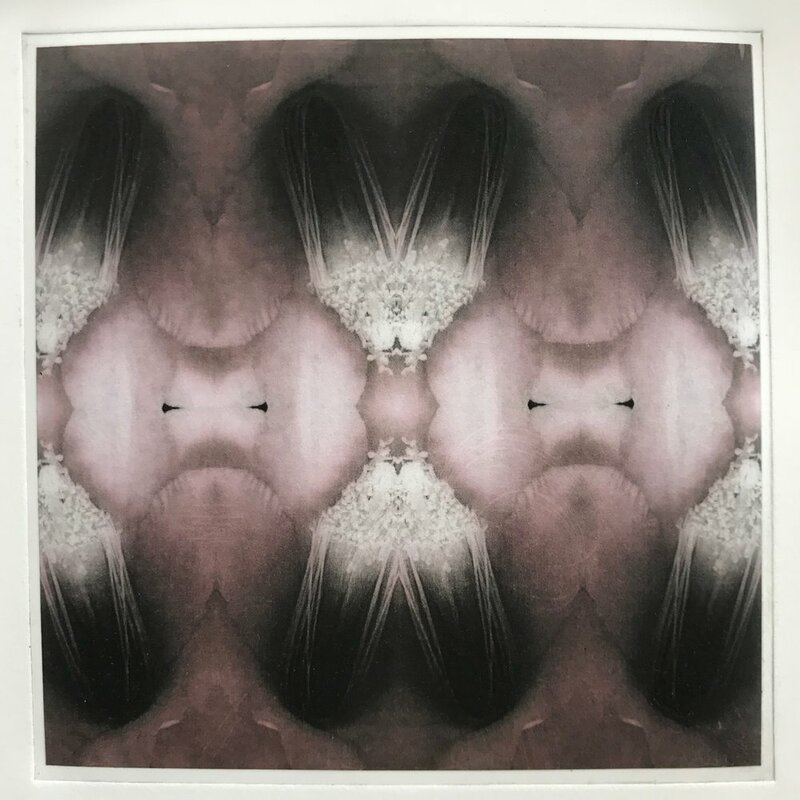 Erica Secombe, Double entendre, A/P 2018, photogravure, printed and proofed on George Baldessin Press. Auctioned for a private collection, PhotoAccess, 2018. 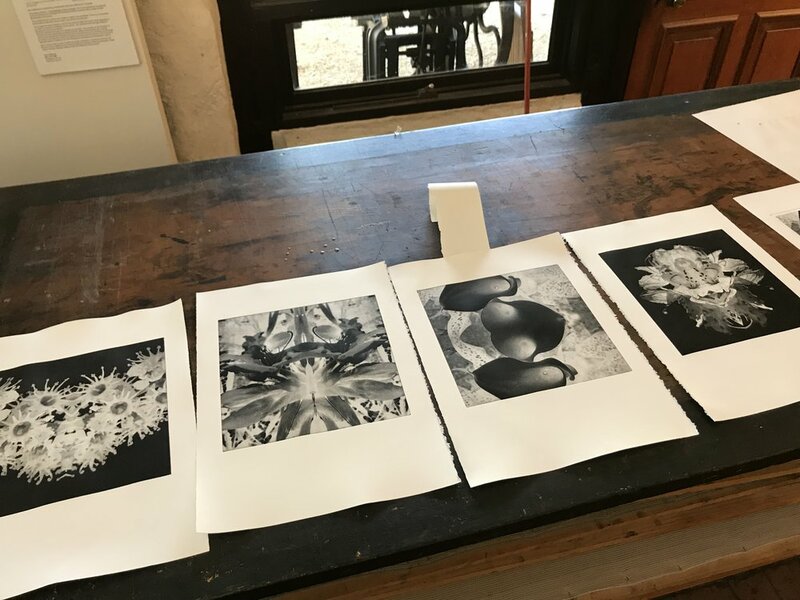 In 2017 I applied for and was awarded a small project fund of $3300 by artsACT to learn the photopolymer photogravure technique at Baldessin Press & Studio. This gave me the opportunity to stay at the Studio in St Andrews, Victoria for 7 days in January 2018. This experience included 3 days one-on-one tuition with artist Silvi Glattauer. It is pretty amazing staying in the studio that George Baldessin built. I didn't realise how special it was until I arrived there, living above the studio in a loft, and then spending all day printing. A highlight was being allowed to use George's own press he built for himself. The studio is constructed with blue stone and is surrounded by bush. I was also impressed by Tess and Lloyd's amazing gardens and humbled by their hospitality. 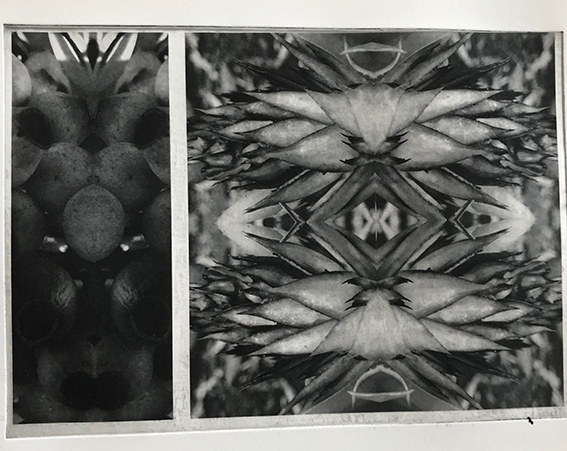 Silvi has perfected photopolymer photogravure using industrial plates and direct-to-plate inkjet printing. The plates are then exposed with UV light and etched with water. I thought I knew everything about grey scale in Photoshop until Silvi showed me how to do it better! 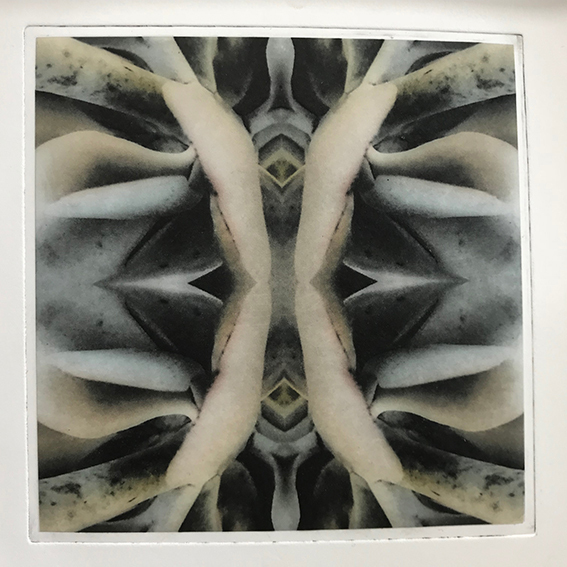 I haven't really used intaglio processes since I left my undergraduate degree at Sydney College of the Arts, so it was also fantastic to get back into the press studio. It made me remember why I had been drawn to printmaking in the first place. 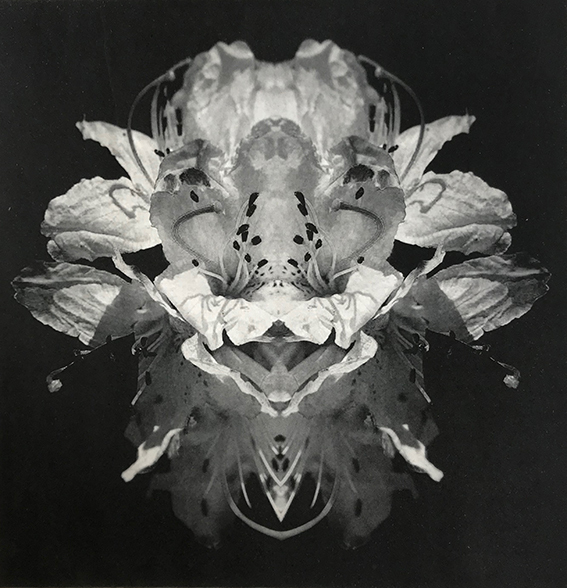 For this residency I explored my own photographs of plants, manipulating them to create mirrored images and other permutations through the photogravure process. In combination with intaglio I learned how to use inkjet printing for chine-collé. In this short time I produced and proofed 15 separate plates and created over 20 new works for editioning. (left) Images from a selection of works in progress.